It’s the stuff of parental nightmares – how to entertain kids who are cooped up inside all winter. 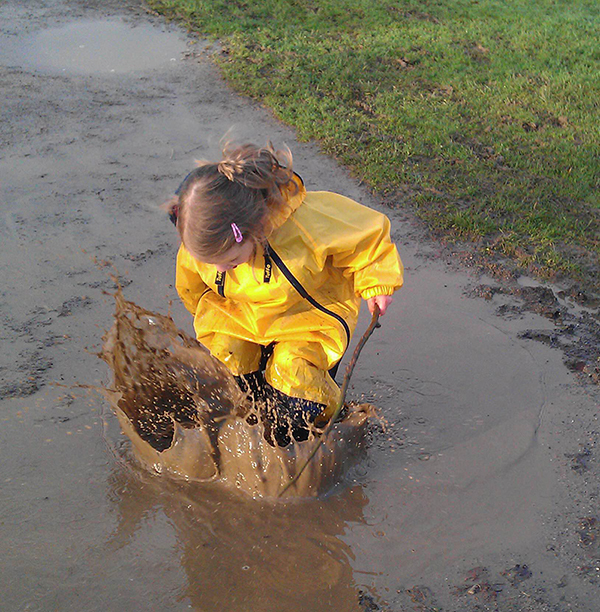 Before you give up and let them tear the house down, take a look at our ultimate list of things to do and places to take the kids when it’s cold, wet and blustery outside. Sydney’s Maritime Museum is a brilliant place to bring kids. The permanent play area has a speed boat, marine animal puppet theatre, ocean puzzles and fishing games, and at 10am and 11am on Tuesdays there are guided tours of the museum run by staff who probably missed their calling as stage actors. Tours culminate in activities in the ever-changing craft area. For bigger kids, there are submarine and tall boat tours. Entry is $30 and free for under fours, or an annual family pass for $130 will get two kids and two adults in nearly every single day of the year. 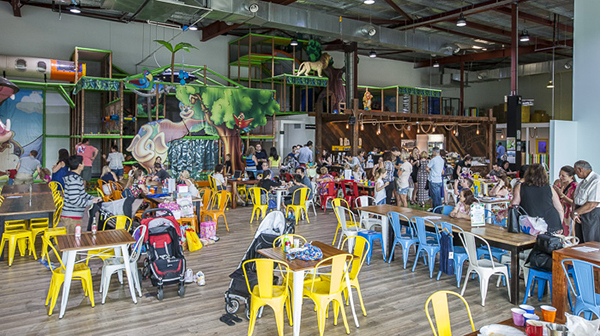 Can anyone say “the largest indoor playground in the Southern Hemisphere”? Jungle Buddies in Sydney isn’t actually that enormous, which is good because it’s not hard to keep track of your kids playing as you have a nice warm cappuccino at one of the long farm-style tables next to the play structures. Watch it with young kids though. If you’ve got under twos, your relaxing afternoon of coffee-drinking will surely devolve into one spent crawling through obstacle courses two storeys in the air, and accompanying toddlers down slippery dips that were not made for adults. Queue up the Pixar, drag out the cosiest blankets and pour butter over freshly popped popcorn for an afternoon of cinema at home. 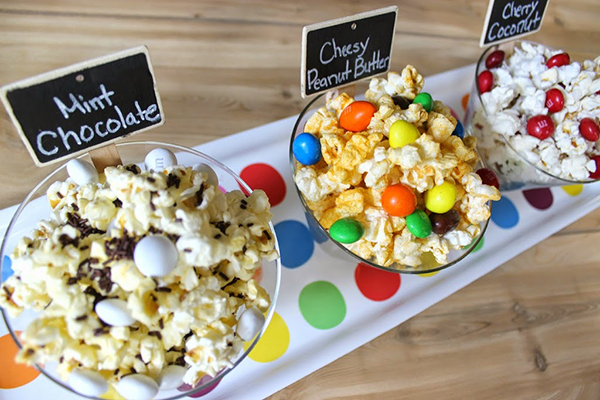 Nicole from Mendez Manor posted great recipes for a Sweet ‘n’ Salty Popcorn Trio. Snacks and flicks are the perfect activity when everyone is over getting along, and chaos is brewing. According to Pamela Druckerman of Bringing Up Bebe fame, unknowably organised and chic French parents bake with their kids daily. How they don’t get fat, we’ve no idea, but that’s a different mystery for a different day. The writer observed her friend’s three-year-old baking a yoghurt cake all by herself, the quantities and ingredients firmly embedded in her little steel trap of a memory. Check out our recipe archives for all kinds of kid-friendly baking ideas, or borrow the book’s yoghurt cake recipe. QAGOMA in Brisbane runs a fabulous year-round kids program through the Children’s Art Centre. This winter until February 2017, there’s a free interactive exhibition created in collaboration with the daughters of artist Sally Gabori. It coincides with a major retrospective of her work. There are hands-on crafts, multimedia activities, and kids will be introduced to Aboriginal mythology and lore local to the artist’s home in Bentinck Island. If you’re an intrepid Sydneysider, drive to the Blue Mountains for some Yulefest action in June, July and August. The chilly mountain towns are full of winter spirit with even an occasional Santa sighting. 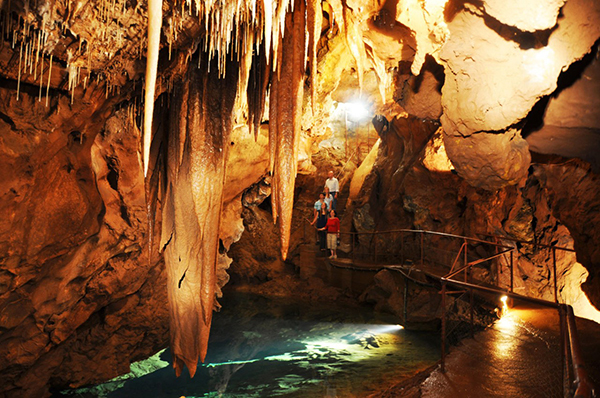 In the Jenolan Caves there are special cave tours for kids, and the Jenolan Caves House has winter feasts. 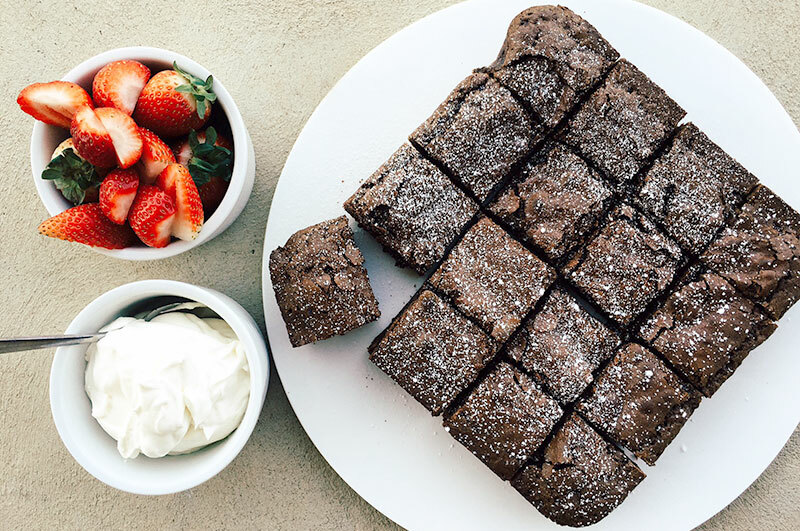 For hearty food, we love the Yellow Deli in Katoomba. Serving warming soups, sandwiches and lovely basic fare, the café feels like you’re entering a tree house. Booths are wrapped around tree trunks, stairs spiral up and down in the small space, and foliage pokes down from the ceiling. The National Gallery of Victoria in Melbourne is a great place for kids. On a weekday, when there’s no special exhibition, the spaces are fairly quiet which means you can let your kids run, peer at the artworks and run some more without worrying you’ll disturb many people. 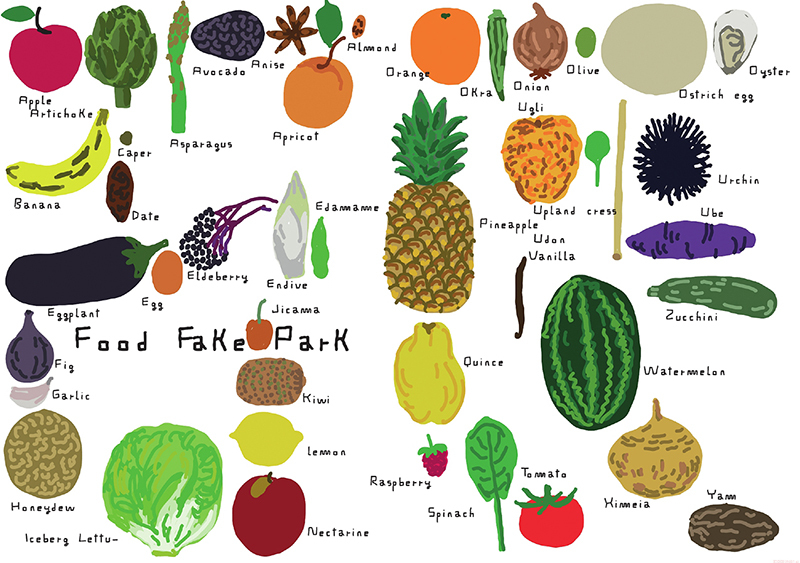 Right now it’s running artist Marti Guixe’s exhibition Fake Food Park, which has all kinds of great activities for kids. Indoor playgroups and music groups are a great place to while away a morning. The Salvation Army runs music programs all over Australia with singing, dancing and morning tea for kids, and often a separate tea for grown-ups. The songs are almost exclusively secular, and everyone is welcome. Best of all, the sweet church ladies will hold your baby while you bolt a sandwich, then chase down your eldest. Google your city to find a nearby program. You might think we’re short on ideas by suggesting you go to a shopping centre, but bear with us. Before going out, take 10 minutes to write up a list of treasures to spot, get the kids to draw a map, and off you go on a veritable pirate adventure. Points go to little spotters who spy Peppa Pig, a man in a yellow coat, a mum with twins, a shopping trolley with a wobbly wheel, or the most exotic food in the food court. Top off the excursion with a hot chocolate, and kids will be tuckered and sated all at once.